A) Hurdle walkovers. 4 forward (2 left left lead, 2 right leg lead), 4 sideways (2 left leg lead, 2 right leg lead), 2 backwards. B) Dynamics. Jogging one direction, dynamics on way back. Arm swings, heel flicks, walking lunges, kareokes, etc. 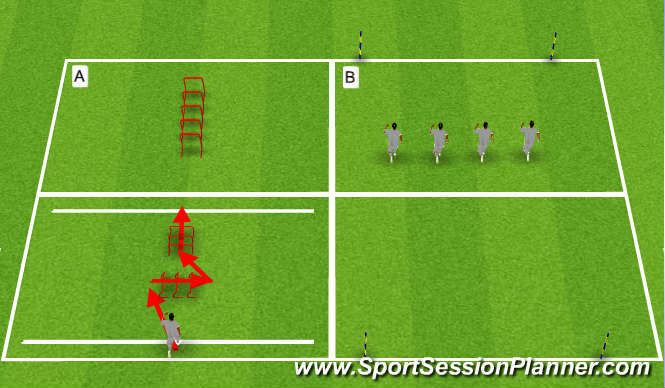 C) Forwards from line, sideways through hurdles, burst to LADDER (not hurdles), double contact through, burst to line. Repeat on both sides.